A performance of MEASURE FOR MEASURE at the Prague Castle for Prague Shakespeare Company and the Prague Summer Shakespeare Festival (playing The Duke). One performance of The Stand-In in the Zizkov theatre. Toured to Ceske Budjovice with The Stand-In. Spent a lot of that free time doing intensive Czech lessons. Sooo difficult. Fortunately landed a nice job for the home studio revoicing German fairy tales. A lot of rehearsal time directing the third Cimrman translation THE PUB IN THE GLADE leading up to a hugely successful premiere at the end of the month. Toured to Slovakia for one performance of The Stand-In in Kosice. Started rehearsal for the third Cimrman translation THE PUB IN THE GLADE. This time as director. Roles in THE SHAMER'S DAUGHTER, a Danish feature, and INFLUENCE a feature by a former Prague Film School student. After AMADEUS (as Baron Von Swietan) at Stavovske Divadlo (Estates Theatre) at the end of June, another quiet month as theatre goes into the summer break. One performance of The Stand-In at the Cimrman theatre in Zizkov. Completed a hugely successful tour of The Stand-In with six performances in New York, Washington DC and Baltimore. 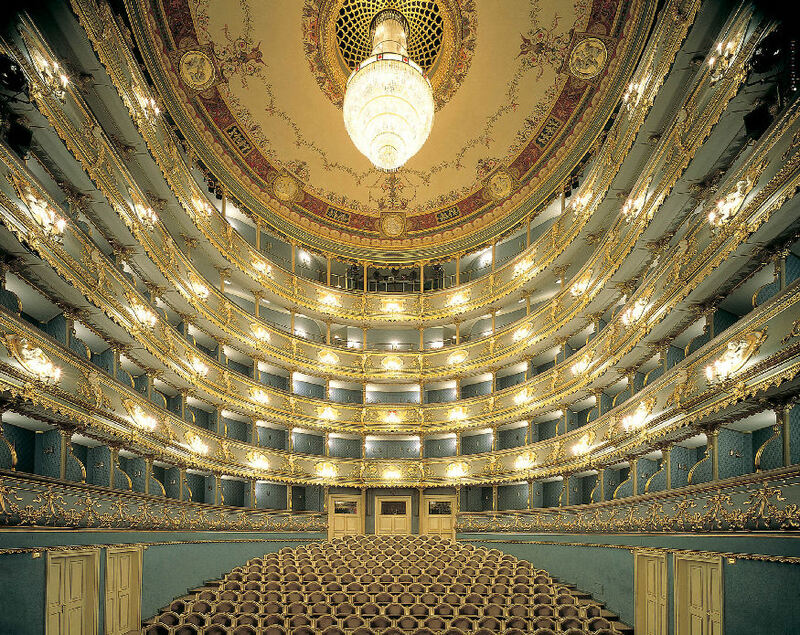 Twenty four hours after landing back in Prague from the U.S., a performance of Macbeth for P.S.C. A quiet month, with one performance of CONQUEST OF THE NORTH POLE at the Cimrman theatre in Zizkov. As I write this,tomorrow we take off for the US and the Cimrman tour playing New York, Washington DC and Baltimore. More voice work on video game KINGDOM COME:DELIVERANCE with a new 'making of' video released. Otherwise, a short month dedicated to completing THE DARK SIDE for Bolinda Audio. Now competed. Still the Big News: We are confirmed as taking The Stand-In on a U.S. tour in April. Playing NYC, Washington DC and possibly others. Sadly, no longer Toronto. One performance of CONQUEST OF THE NORTH POLE at the Cimrman theatre in Zizkov. Big News: We are confirmed as taking The Stand-In on a U.S. tour in April. Playing NYC, Washington DC and Toronto. Two performances of TITUS ANDRONICUS as Titus for P.S.C..
Two performances of As You Like It as for P.S.C..
Four performances of TITUS ANDRONICUS as Titus for P.S.C..
Two performances of TWELFTH NIGHT as Feste for P.S.C..
Rehearsals and opening night of TITUS ANDRONICUS as Titus for P.S.C..
One performance of THE STAND-IN in Brno, and one performance of CONQUEST OF THE NORTH POLE at the at the Cimrman theatre in Zizkov. Two performances of CONQUEST OF THE NORTH POLE at the Cimrman theatre in Zizkov. More voice and motion capture work on video game KINGDOM COME:DELIVERANCE. Three performances of OTHELLO for PSC as Brabantio. The Australian Shakespeare Company Youth Group Brave Hearts arrived to perform MUCH ADO THE MUSICAL. One performance of THE STAND-IN and one of CONQUEST OF THE NORTH POLE at the Cimrman theatre in Zizkov. Filmed final scene for TV show RAPL. Brno performance of A MOMENT OF SILENCE cancelled when the set went missing. THE STAND-IN at the Cimrman theatre in Zizkov. I also filmed a guest spot on a new Czech TV show called RAPL as an English deer hunter. And also in April, PSC will take MACBETH and MUCH ADO ABOUT NOTHING to Alexandria in Egypt. A busy time, with eight different performances by the end of the year. Five productions already in rep. THE MYSTERIOUS AFFAIR AT NELA -a fund-raiser performance at Nelahozeves Castle, for the Lobkowicz Foundation. August was a good month for voice work with more work for Skoda and a novel to narrate for Bolinda Audio. Approximately my fiftieth for them, and the second from my Prague studio. Plus a couple of other large jobs from the home studio. Summer is officially over, and things are on the move again. A remount of COMPLETE WORKS OF SHAKESPEARE (Abridged) for Prague Shakespeare Company returns. The next performance of THE STAND-IN is September 19 at the Cimrman theatre in Zizkov. Early October is THE MYSTERIOUS AFFAIR AT NELA -a performance on a private train culminating at Nelahozeves Palace the birth place of Dvorak. My relationship with Skoda continues - nice big voiceover gig for sponsorship of Tour de France. Jewel Box (written by Stu Mentha, directed by myself for Prague Fringe Fest) was our fourth successful collaboration with sellout shows again. Midsummer Night's Dream and Twelfth Night, both for Prague Shakespeare, now wrapped for the year, or at least the summer. A successful three night run of the Iranian play A Moment of Silence at Divadlo DISK at DAMU. The graduation performance for Iranian directing student Azadeh Mohammadi. Four performances in June of The Stand-in (Dr. Vypich)for the Cimrman theatre. Travelling to Australia to visit family early July and returning at the end of the month. A shoot in Istanbul for feature 'Mountains and Stones' turned into a one day call in Prague after script revisions. Ho hum. That's Show Biz. Skoda commercial is airing multiple times daily during the Ice Hockey World Cup being staged in Prague. Currently performing three shows in repertory - Twelfth Night (Feste), Midsummer Night's Dream (Bottom) both for Prague Shakespeare Company, and The Stand-in (Dr. Vypich)for the Cimrman theatre. Rehearsing Iranian play 'A Minute of Silence' at DAMU, directed by Iranian directing student Azadeh Mohammadi. Directing a new play Jewel Box for the Prague Fringe Festival. My fourth year of collaboration with writer/producer Stu Mentha. Off to the Canary Islands briefly this month for location filming on Czech movie Gangster Ka with lines in Czech!! Scored a main role in a Skoda commercial for the ice hockey season. Filmed in Liberec. Dracula 2015 now to be shot in Shropshire, UK. Since I am 'unknown' as an actor in the UK, no visa, so no more film. Later news: My replacement is to be George Lazenby,of James Bond fame. First full performance of The Stand In in English sold out and next performance on November 22 already sold out as well. Continuing to perform in 'Macbeth' and 'The Complete Works of Shakespeare Abridged' for the Prague Shakespeare Company season. Also in rehearsal for a schools tour version of Midsummer Night's Dream. co-ordinating the May Intensive Acting Workshop by Kevin Hopkins.